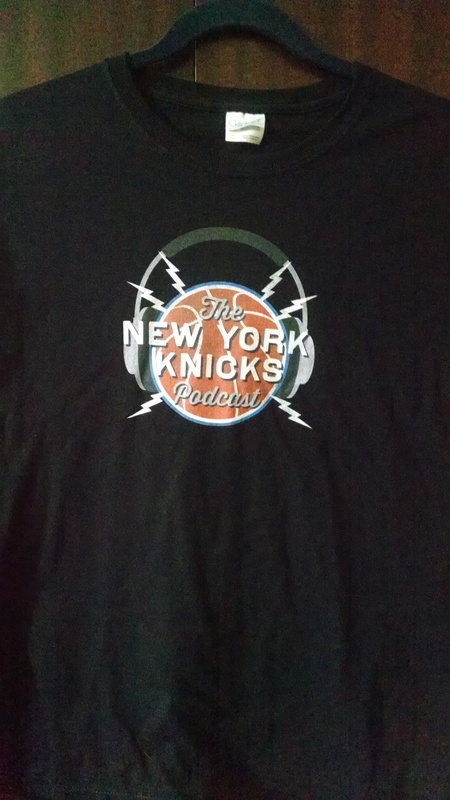 We finally got the shirts in. There are two batches, one has a darker logo and one is lighter. There are also two colors, black and navy blue. We have shirts in S, M, L, and XL. The price is $18 including free domestic shipping. Right now we can only take paypal. The paypal address is chkenparm@hotmail.com. 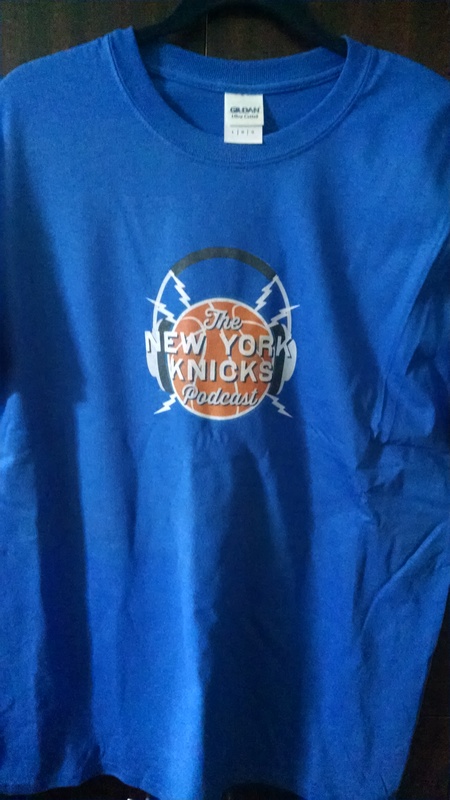 International will be a little more so email me at nyknickspodcast@gmail.com for international shipping rates and any other questions. And for an extra $5 you can get a Brink of Sanity shirt. 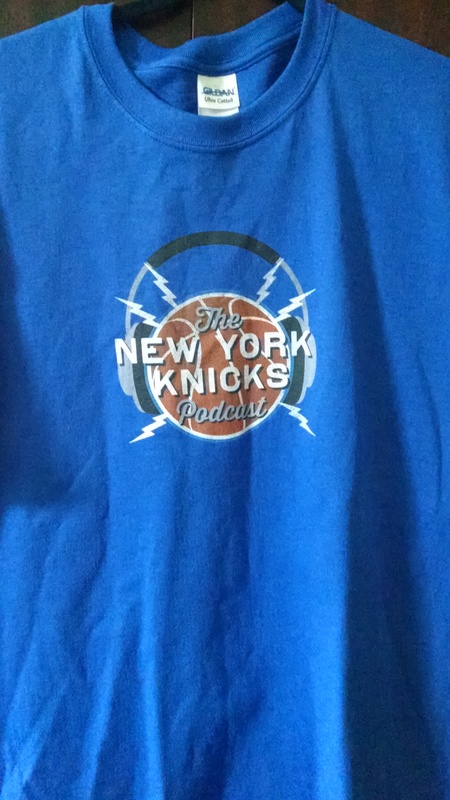 Make sure to leave a note in paypal as to what size, color shirt and shade of logo (lighter or darker) you want. 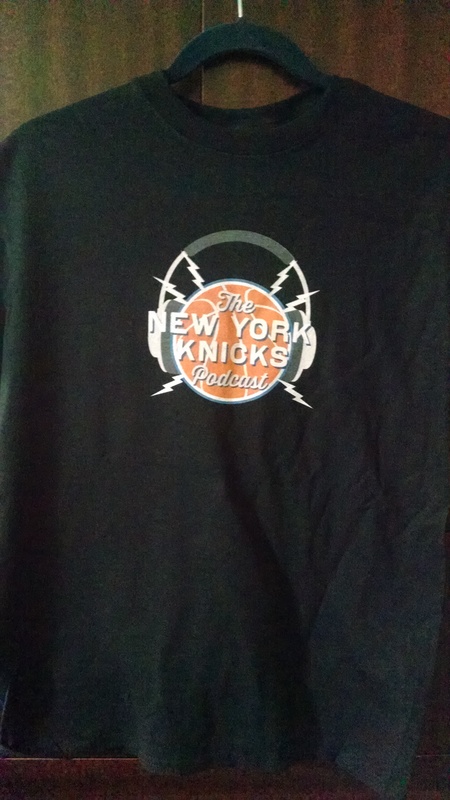 My shirts arrived a few days ago, they look great and are really good quality, thanks guys. Hate pay pal can’t use the card I want and have to remember passwords yuck! Morgan from the meetup here, I am attempting to honor my word and buy a shirt, but, unfortunately, I can’t figure out how to do it on this web site. Let me know what I need to do to hook it up. Hey Morgan, the only option we have right now is paypal, the paypal address is chkenparm@hotmail.com. In the comments just let me know what size, color, logo, etc.